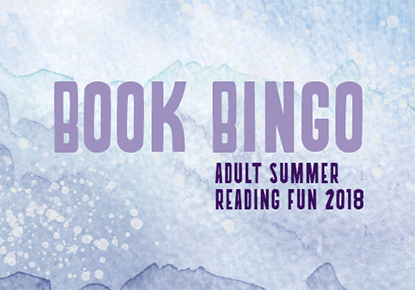 Adult Readers: Summer Book Bingo Party! Saturday, Sep. 15, 2018, 2 – 3:30 p.m.
*NEW DATE 9/15* Celebrate your Summer Book Bingo reading at a free party! Extra incentive: Winners will be announced during the party. Come talk to other readers about your Book Bingo experience! Let us know your favorite books of the summer, give feedback on categories for future years, enjoy some sweet treats, and revel in the love of reading at this no-pressure gathering. The party will feature a live drawing of the Bingo and Blackout winners. You don't need to be present to win, but we'd love it if you were! All ages are welcome to the party, but please note that the drawing and prizes are for the Adult Summer Book Bingo program. Summer Book Bingo 2018 is an adult summer reading program presented by Seattle Arts & Lectures and The Seattle Public Library. Book Bingo entries were due on Sept. 4, 2018.